The Fisher Hill Farm CSA is one with choice! Never get overloaded on one crop, or something you know you won’t eat. Pay online and shop at your CSA without needing to carry cash! Each week members will be treated to fresh, local, high quality, seasonal vegetables and fruit. Choose your share items each week from a wide array available on display. Change your items each week to suit your family’s taste, your recipes or your mood. There may be limits on quantity of certain items and number of items will be set each week depending on quantity that is available. WHAT DOES A CSA LOOK LIKE? If you feel intimidated at the thought of using all of this produce each week, consider one of the following ideas. Share the cost and bounty with a friend or co-worker. Each week both members can come and ‘split’ the share or each member could come alone every other week. Absolutely. Click here and receive a 5% discount through March 31, 2019. Can’t make it to the market? No problem. We offer pickup locations other than our weekly farmers markets. 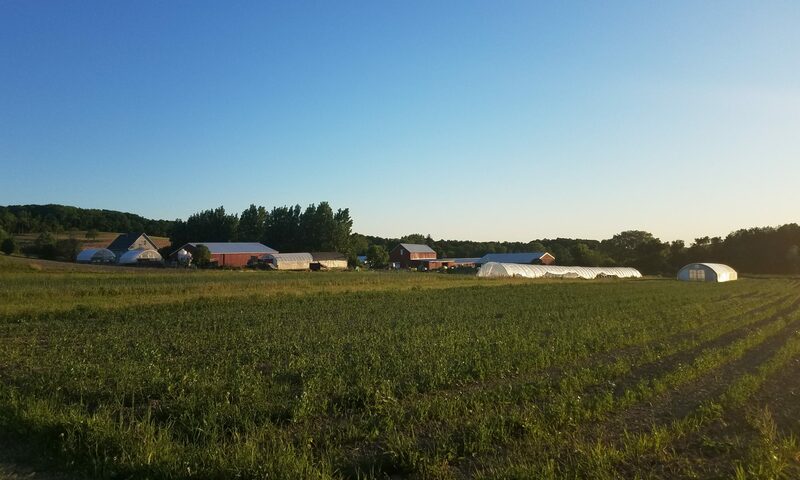 Every Wednesday you can pick up right on the farm from 4 to 6:30 pm. We’ll work with you the best we can and offer the flexibility of picking up where it can be most convenient for you! This gallery was taken over the entire CSA 2018 season from our friend Ansel. Check out what he chose every week. Check out the crop availability below too! Chickens and Eggs are available every month of the CSA.